Summary: Raku Ichijou is a seemingly normal high school student. However, he is the sole heir to the head of a Yakuza family. Ten years ago, Raku made a secret promise with a girl he met. They promised one another that they will get married when they reunite. Since then, Raku has never let go of the pendant the girl gave him. 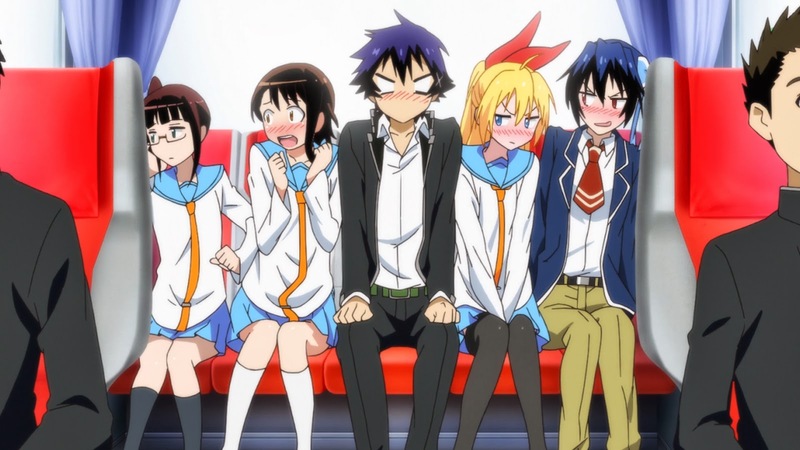 One day, a girl named Chitoge Kirisaki transfers into Raku’s class. They get off on the wrong foot, and never seem to recover from it. Long story short, they despise each other. 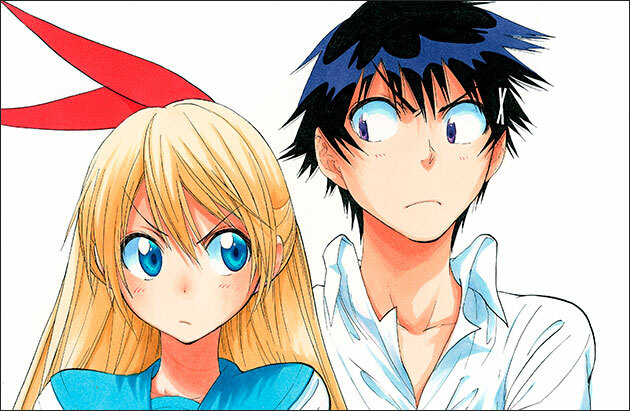 By a strange turn of events, Raku and Chitoge begrudgingly agree to date each other. In case this isn’t enough, Raku is really interested in his classmate Kosaki Onodera, but he must convincingly pretend to be Chitoge’s boyfriend (or else). You might enjoy this if: You enjoy the shenanigans involved with having to pretend someone is dating another person when they are secretly in love with another person. This is done with part comedy and part heartbreak. You might not like it if: You are on the look out for a more serious romance. Note to the Viewer: Just wait until you meet Chitoge’s “bodyguard”! This entry was posted in Anime and tagged 16, 2014, anime, comedy, false, first, fragglepuss, gang, harem, love, mystery, nisekoi, review, rivalry, romance, season, winter. Bookmark the permalink.